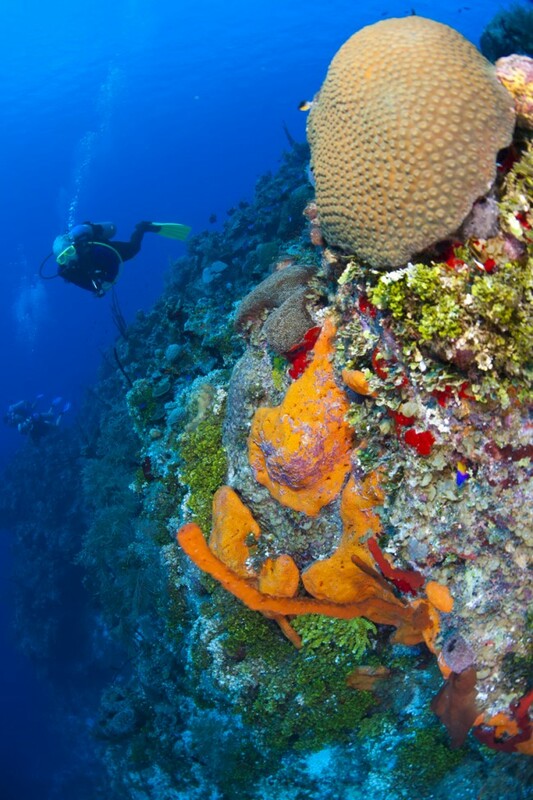 When you wall dive in Grand Cayman, you will actually be swimming over the tips of underwater mountains. These magnificent coral covered mountains rise from sandy plains thousands of feet below the water’s surface. Grand Cayman underwater mountains are covered with rich colored corals and marine life and offer some of the best visibility found on dive sites anywhere in the world. As a result of the way Grand Cayman is geographically situated, the customers of Grand Cayman Dive/Off the Wall Divers can almost always scuba in calm, protected waters regardless of wind conditions. Common sightings on our Grand Cayman wall dives include tarpon, turtles, barracuda, mackerel, eels and spotted rays to name a few. Come and see for yourself what the world of Grand Cayman wall diving has to offer you. Grand Cayman is not only known as one of the world’s finest dive destinations but it is also recognized as having some of the finest wall diving in the world. Grand Cayman Dive/Off the Wall Divers will take you on personalized dive trips to all the most beautiful wall dives in Grand Cayman. The company dives the West, North, and South side of the island, and where we dive is “weather permitting”. West side wall diving extends from the SW corner to the NW corner and encompasses all wall (and shallow sites). In general, the “top of the wall” (where the mooring pins are located) on the West is approximately 50-60ft. The West side diving is the “leeward side” of the island and diving is available here almost every day of the year. Veteran Cayman divers always wish to experience the North Wall. In previous years, this was an area from the Barkers area of West Bay, heading East over to Rum Point. With the expansion of dive sites around the island, “North Wall diving” now refers to anywhere from the NW Point of West Bay, extending East to Rum Point. Here, the moorings are pinned in approximately 60-65ft. and many of these sites are visited in the Summer months – when the winds are calm and the seas, flat! The South is utilized as cold fronts push down from the US in the Winter months (NOV-APR/MAY). When conditions dictate, you’ll find all the dive operations diving “south”. The “wall sites” here begin about 70ft. 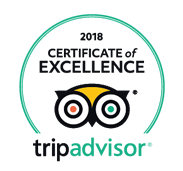 Where ever you may find yourself diving, you are going to have a wonderful experience with Grand Cayman Dive/Off The Wall Divers. I have been lucky enough to dive many places in the world and with lots of different dive operations. Off the Wall Divers is BY FAR the best operation for many reasons! …Their gear, which I used all week, is top notch! The boat only takes out a small number of divers so you always feel like you are getting a private dive tour! Tom, Kelly and Meghan are all amazing and quick to point out unique fish and little critters that would have been missed otherwise. …Dive with Off the Wall Divers. I promise you will be happy you did!